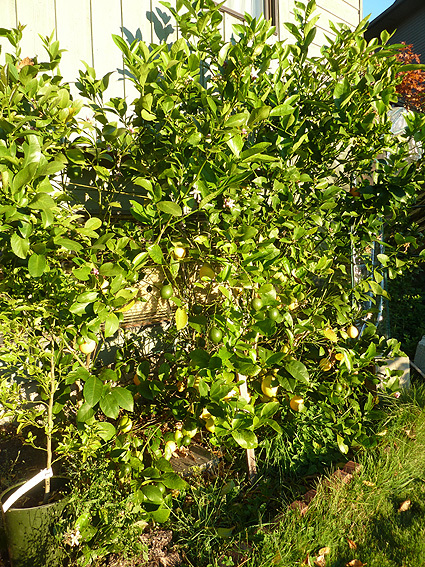 These Meyer Lemons, over 6ft tall, are growing beside the wall of a house in North Vancouver. They are protected in winter only by an unheated plastic enclosure. 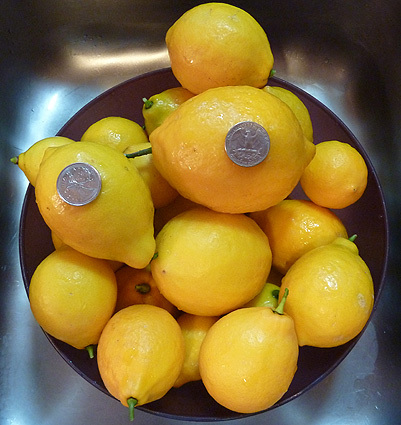 An excellent harvest at the end of 2012..